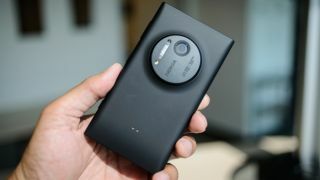 The Nokia Lumia 1020's UK release date has apparently been outed early alongside a price for the 41-megapixel camera smartphone. The handset will launch on September 5, according to online retailer Expansys, which is currently offering the phone for pre-order. The less great news is that Expansys is also pricing the 1020 at £599.99 SIM-free, which works out at about £15 a megapixel. Or, in other words, a lot of moolah. If this price is accurate, it would make the 1020 Nokia's most expensive Lumia to date. Meanwhile, Unlock Mobiles has the phone slightly cheaper at £549.99. Of course, given that the Lumia 1020 has the highest resolution sensor in a smartphone, we weren't exactly expecting it to come cheap. Right now neither Nokia nor any of the major networks are listing the handset release date or giving any indication of what a subsidised contract price might look like. We expect it won't be long though, and don't worry - we'll tell you as soon as they tell us.